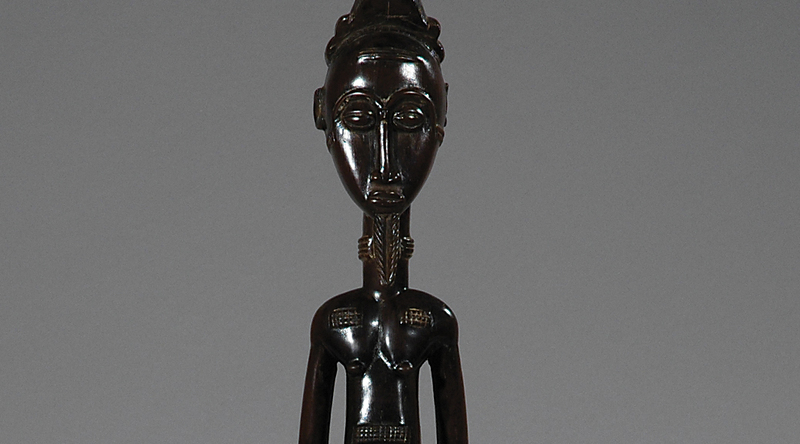 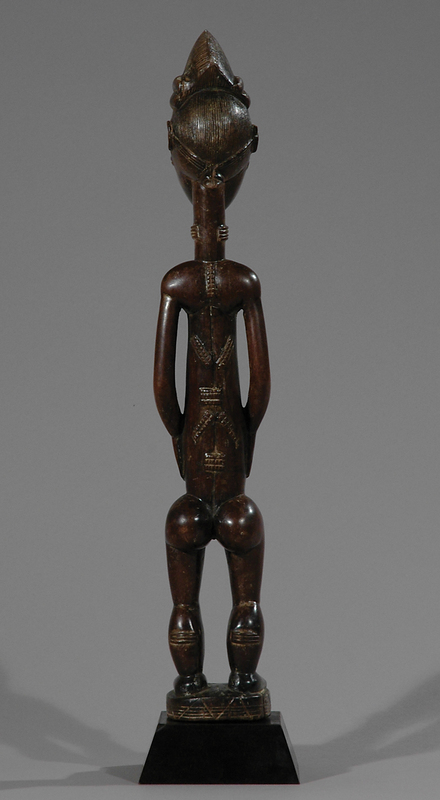 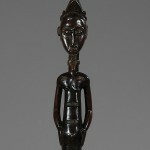 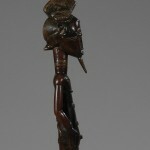 Baule figures can be among the most elegant and designed pieces in Africa. 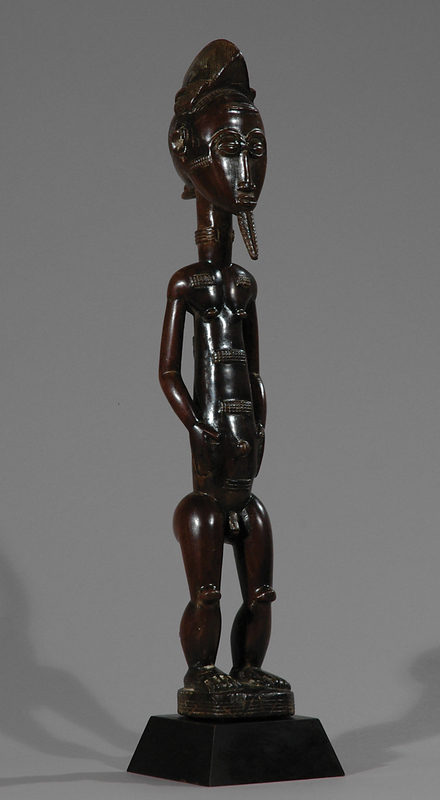 Many show careful execution of face, coiffure and scarification details, with refined forms but no loss of expressiveness and power. 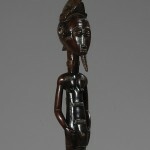 The quiet, dignified figures embody spirits from the other world. 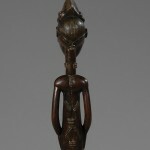 They functioned as the home of a spirit to whom sacrifices were made and had to be placated with care. 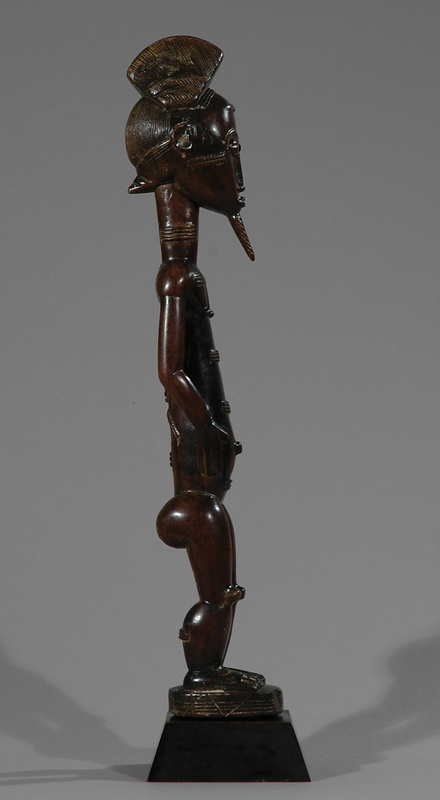 In ritual performances, the spirit would come out to possess the diviner, causing a trance. 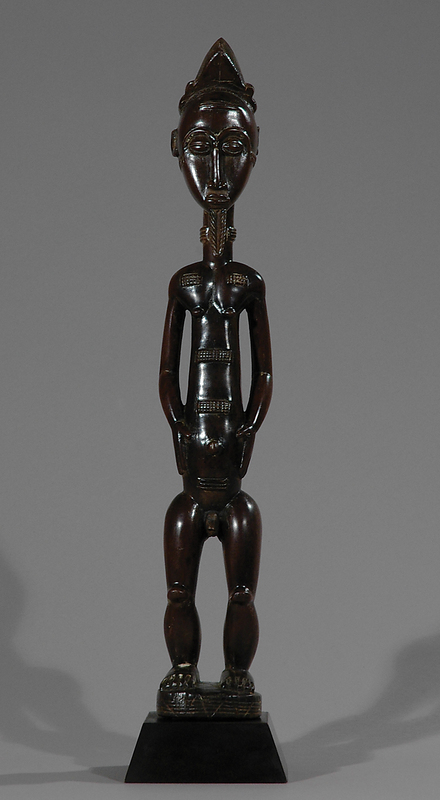 The display of the figures would enhance and support the ensuing dance.